Here’s the eulogy I wrote for my mom, who died April 15, 2012, at age 79. One thousand words. I’ll be speaking about a thousand words today. Can you sum up a life in one thousand words? The answer is “No.” Of course it’s No. You can’t capture someone’s life in 1,000 words. Yes, you can recite some facts. * Born and raised Quincy, Illinois. It’s a town on the Mississippi River, 150 miles north of St. Louis. * Earned a master’s degree in the 1950s. This at a time when it was still unusual for women to achieve that level of education. * Married a gregarious Italian guy in 1960. * Moved to Anoka, Minnesota, another Mississippi River town. * Dedicated her professional career to helping families and protecting children. * Raised a daughter and 4 boys while working full-time, yet another rarity for women in those days. Those are facts. Those are great bullet points. But they don’t express feelings. They don’t capture memories. 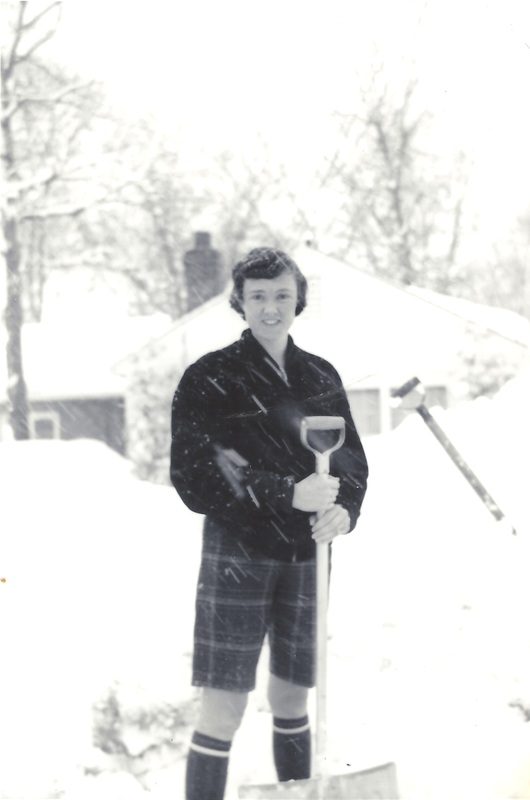 They don’t describe how Barb Ingrassia, my mom, made the lives of those around her better. In some ways, we’ll never know the true measure of my mom’s legacy. We’ll never really know the stories of the lives she touched. That’s because of the nature of her profession. She supervised child protection services in Anoka County. That’s a tough job. Every day there are tales of abuse, poverty and family hardship. Barb tackled the job as a caring person and dedicated professional. In social services, the cases remain private. The public doesn’t always know what social workers do. But the people my mom served know what she did and how she cared. They know how she helped them in their time of need. Think of it. It’s the middle of winter in Minnesota, 20 below on New Year’s Day. There’s a single mom with small children. They‘re stuck in a run-down rental house in the far reaches of Anoka County. The furnace is broken, the water pipes frozen. I still remember when I was just a kid, running to Mom for something silly – “Mom! Mom!” … and finding her on the phone, dealing with a tough call. She would firmly but gently wave me away. I don’t have bullet points about Mom in my heart. None of us do. We have memories, feelings and sensations. * I’m six years old. We’re on the river, in the old 15-foot Forrester speed boat, the one with the 60-horse Johnson. Mom’s teaching us to ski. I’m too young to jump in the water and then put the skis on by myself, which is what people normally do. Instead, Mom puts the skis on me in the boat. Then she hoists me up to the edge and pushes me in. * I’m a fifth grade kid at Lincoln School in Anoka. It’s the first day of school. The teacher reads the class roster and pauses after he reads to my name. “One of the Ingrassia kids,” he says. “Does that mean I get a pie?” You see, Mom had a tradition of making pecan pies every Christmas. For two weeks every year, she’d turn our house into a pie factory. Dozens of pies. Teachers, co-workers, my dad’s pals … they all got a pie. * It’s the 1970s. Mom drives a Ford Country Squire station wagon. It’s the one with the faux wood paneling all along the sides. There’s rust on this thing. A lot of rust. It’s eating through the sides of the station wagon. So Mom, always resourceful, buys some faux-wood shelf liner, the sticky stuff you use for kitchen cabinets. She rolls it onto the sides of the Country Squire … there you go, good as new. So here we are. 850 words into a life. We haven’t talked about Barb’s husband John … my dad, also known as Pops. Give me a few thousand more words, and I could share some stories about Pops. We haven’t talked about Barb’s daughter, Anne. 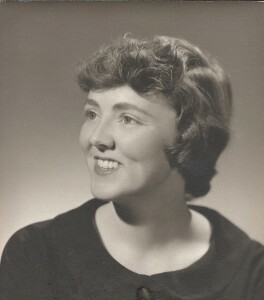 My sister, who died almost 25 years ago. We all deal with tragedies, and that was my mom’s greatest. I guess it’s true. You can’t sum up someone’s life in 1,000 words. And even if you could, it wouldn’t really matter. It’s not these few words we’ll remember today. Instead, it’s Barb the person we will remember. Virginia, who is here today, will remember Barb as a wonderful sister. Phil, John, Lee and I will remember her as a caring mother who steadily guided us through the trials and tribulations of our youth. Her grandchildren – Kaylee, Sophia, Lauren, Alex, Roman and Tony – will remember “Nana” – who opened her home to us and always seemed to have the perfect basket of toys around. And all of us will remember Barb and the impact she had – is still having — on her family, her friends and the people she served. It was late 1986 when my older sister, a cool college student, copied a cassette her friend had put together. 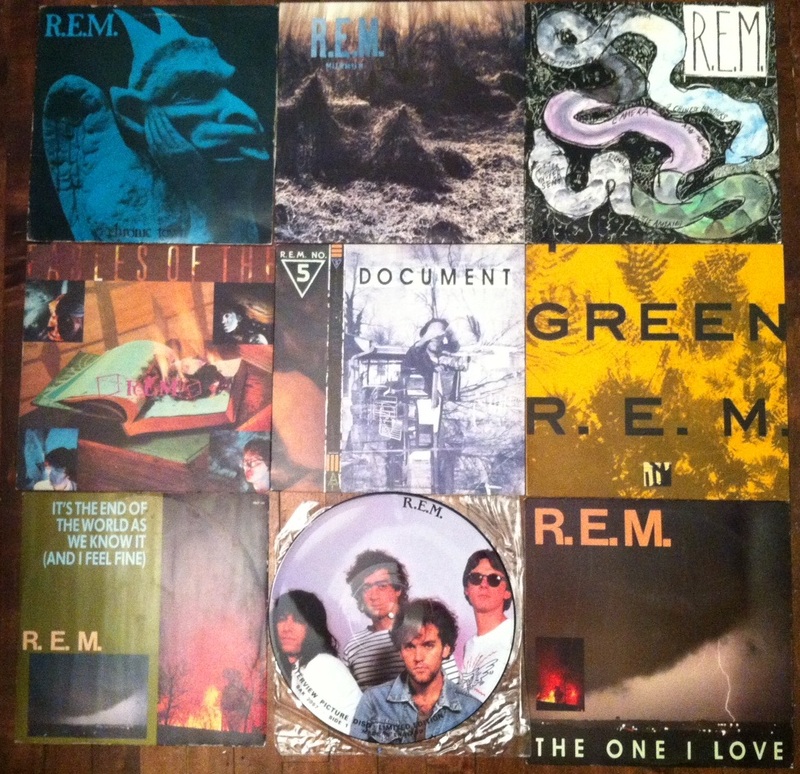 It was a collection of R.E.M. 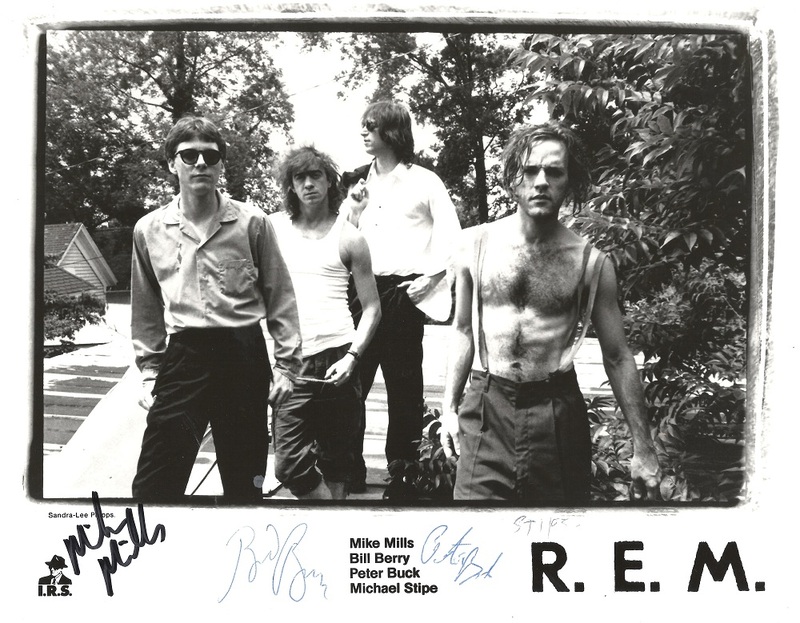 songs, creatively titled “R.E.M of Sorts.” It had the Chronic Town EP, B-sides and bootlegs. It essentially was “Dead Letter Office” years before that compilation came out. At the time, I was a big retro rocker. Beatles, Zep, CCR, etc. I often dissed New Wave. But something about the melodic jangle pop of R.E.M. hooked me. I bought previous R.E.M. records on vinyl. I tracked down a record store that stocked “Document” on the day it came out. Then I persuaded my brother to see R.E.M. at Roy Wilkins Auditorium in St. Paul. I even joined the R.E.M. fan club, a funny thing to think about in this era of social media. 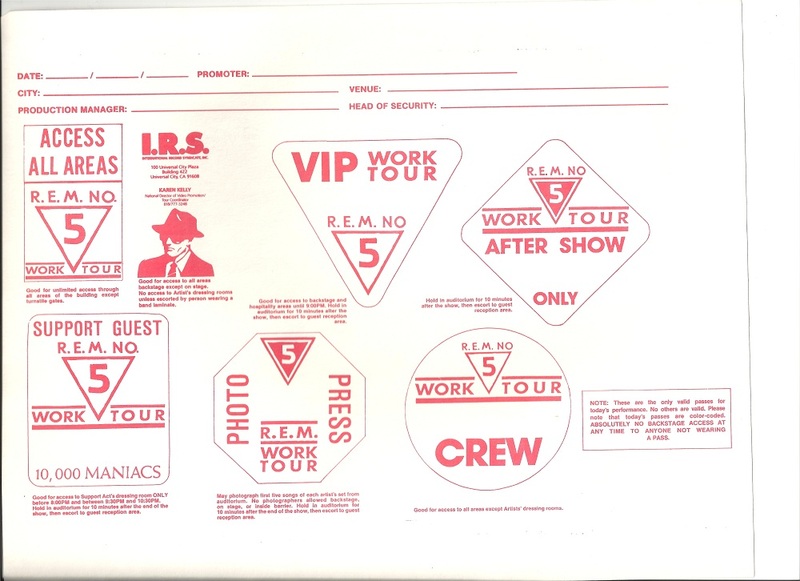 Envelope from the R.E.M. fan club. 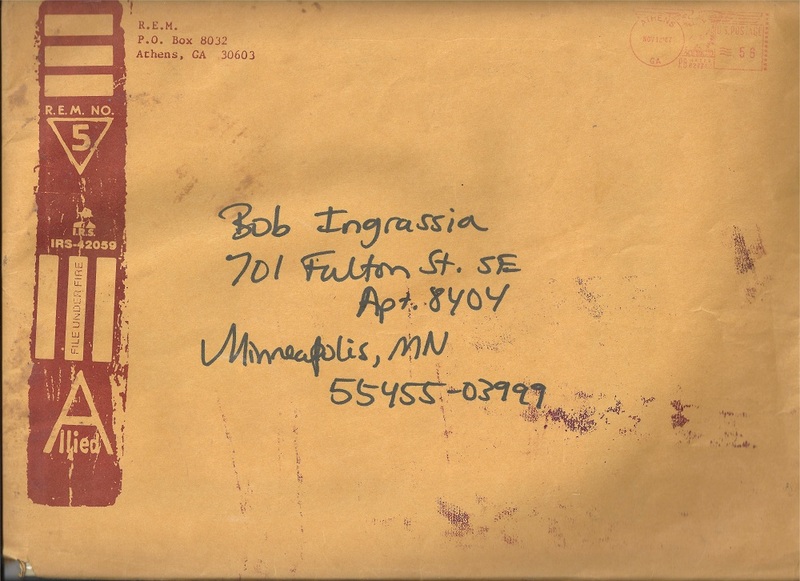 That's my University of Minnesota dorm address. 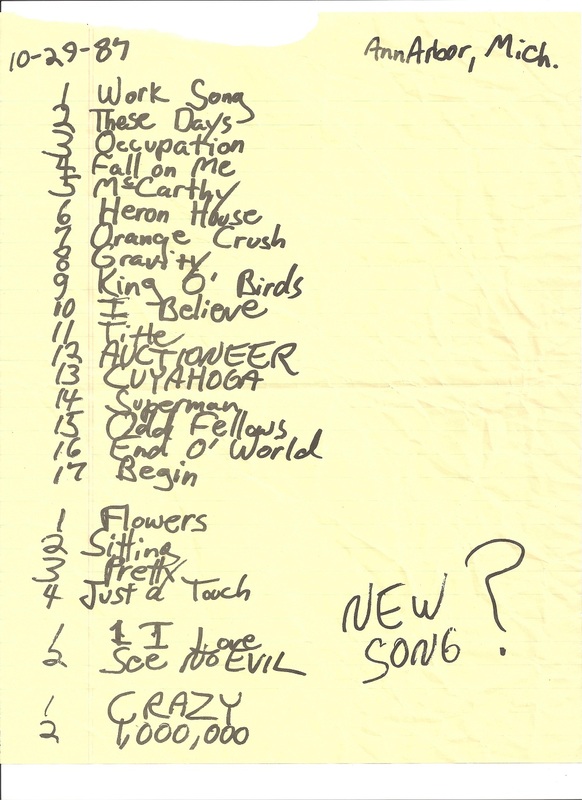 Looks like an authentic set list. Sent to me in a fan mailing. A few months ago, while I was letting Roxy the poodle run at the dog park in east St. Paul, someone bashed the back of my car — and took off. 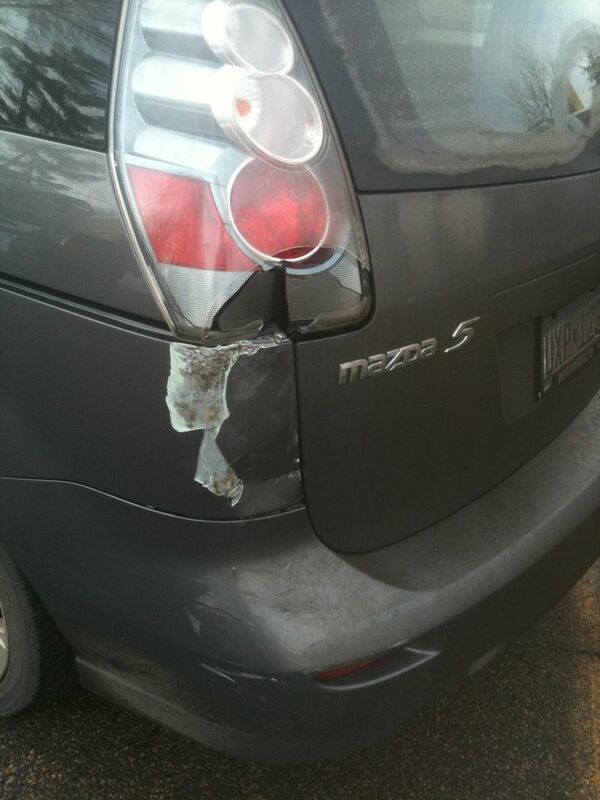 One estimate for repair was more than $1,500. A secone estimate came it at $2,300. I have a high deductable on my insurance, so making a claim made almost no sense. Plus, I dreaded the hassle and extra expense of having to rent a car for a week while the car was in the shop. Then it hit me: I could do the repair myself. I heard a few doubts from friends and colleagues, but several people were curious to see how my endeavor would turn out. The first step was to replace the smashed tail light. I hit the internet and, after a bit of digging, found an after-market fit for my Mazda5. As you might imagine, a lot of the online auto parts retailers are fairly shady. I went with Parts Geek — after checking Reseller Ratings and finding the company was at least somewhat legit. Several sellers I checked weren’t even listed on Reseller Ratings, which is a bad sign. I installed the tail light without much trouble, but the body work would have to wait for warmer weather. Finally, in May, I got started. I decided to avoid Bondo auto-body filler and go with Evercoat, a brand that some reviews indicated was a bit higher quality. It didn’t take much skill to mix and apply the filler … it’s a lot like using epoxy or wood filler. It took a bunch of applications because I was filling almost three-quarters of an inch. Hey, look, it’s Joe Mauer showing that he’s getting better at commercials. Here’s his new spot for MLB 10: The Show, the video game that features Mauer on the cover. See? Mauer is actually funny in this ad. Using inflection will do that for you. Good for Joe. He’s hitting his stride at the right time. He’s becoming a household name. He’s on the verge of signing a huge contract. And with a certain golfer having imploded, some advertisers may be looking for a new squeaky clean hero to hawk their wares. The notoriously low-key baseball star has done some real dud ads in his time. Here’s an example of the flat delivery that made some of his earlier commercial painful to watch. And just in case you were wondering about that beach picture from the MLB 10 ad, here’s a screen grab. Is that Joe … or a stunt double? Twin Cities writer Lily Coyle got angry when she heard Pat Robertson claim that Haitians brought the earthquake on themselves by making a pact with the devil. "I couldn't sleep all night I was so mad," Coyle said. "How insensitive, to kick people when they're down." Instead of muttering to herself, Coyle chose to channel Satan himself. On Thursday, even before she'd had her morning coffee, she banged out a hilarious open letter to the televangelist — and fired off her missive to the Star Tribune. The Strib featured the letter as one of its "Letters of the Day" — and it wasn't long before the online version took off. bully who kicks people when they are down, so I'm all over that action. put it, making a deal with me leaves folks desperate and impoverished. fame, glory, a golden fiddle." Satan then stuck the dagger in by warning Robertson to shut up or maybe the Devil would "renegotiate your own contract." Lots of folks have been sharing the link on Twitter. David Brauer at MinnPost did an item. A Daily Kos diarist did a post, as did The Cucking Stool. With all the attention today, Coyle couldn't resist Googling "Lily Coyle and Satan." "I don't know how I feel about being Satan's mouthpiece," Coyle said. Coyle is a freelance writer and playwright whose work includes "The Princess and the Pee," an unlikely children's play about bedwetting. Her husband, Patrick Coyle, is a filmmaker whose recent work includes "Into Temptation," a movie about a trouble priest who aims to save a mysterious young woman. "I"ve got a children's book I'm hoping to get published," Coyle said. "I hope this whole Satan thing doesn't hurt my chances." My PC just turned 7 years old and it's still going strong. Just a short post here to say "Thanks, PC." There have been ups and downs, of course. A hard drive crash or two. Some crazy software situations. A Windows re-install. But we've worked through those problems … and now, as a couple, we're stronger than ever. Those knobs and jacks you see … that's the front-panel of my sound card. A Terratec that I bought at the same time as the computer. There is a 1/4-inch mic input, with a knob for controlling the input level. A headphones jack. There's a L/R RCA input for anything you want (tape, CD, VCR, etc. ), plus a phono input, hilariously enough. You're also seeing MIDI in and out, as well as digital in and out. The sound card's been a trooper. I've recorded plenty of original music on this PC … using Home Studio XL. And I've converted some R.E.M and Beatles vinyl records to digital. I've made some hardware upgrades over the years. More RAM. A DVD burner. New hard drives. The motherboard and the processor have been solid. I had no issues building Newsbobber on this PC and have edited plenty of home videos, too. Check out that old 3.5-inch floppy drive! The case is a stainless steel an aluminum Lian-Li. Still looks good, and it's been a breeze to get inside. Hats of to Puget Custom Computers, which built the PC. They're out in Seattle and shipped my PC to New York City, where I was living when I bought it. So, thanks, PC. Thanks Asus for the motherboard. Thanks Intel for the processor. And, grudgingly, a kudos to Windows XP. Headaches for sure, but it's still ticking, which is something. Software: Multimedia Nero Burning ROM Express Ver. While out walking the dog, I salvaged a tiny tidbit of aviation history. Someone had put cardboard boxes of old books and folders out by the street. An old airline pamphlet caught my eye … and I soon discovered a folder of information that American Airlines obviously handed out to passengers on transatlantic flights. From the style of the drawings and the airplane, it looks like the material is from the 1950s. I especially like the "Etiquette of Ditching" handout. Sure looks like fun to crash land a commercial airliner into the water! All the talk about getting wi-fi on flights these days … and here they already had "radiograms" back in the day. Oct. 10 and St. Paul had snow on the ground this morning. And it stuck around for awhile because it didn’t warm up past freezing until after noon. The jack-o-lantern on our front porch kept smiling through the whole ordeal. It swallowed the hook and when I reached in with the pliers, the fish chomped my finger and drew blood. Yes, I screamed. We tossed the fish into our fish trap. The plan was to bury it for fertilizer. But the next day when the kids were trying to get a look at it, the monster escaped. Bowfin 1, Bob 0.